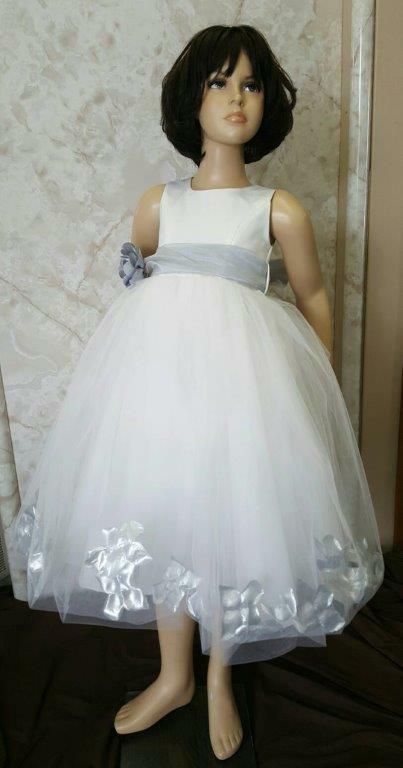 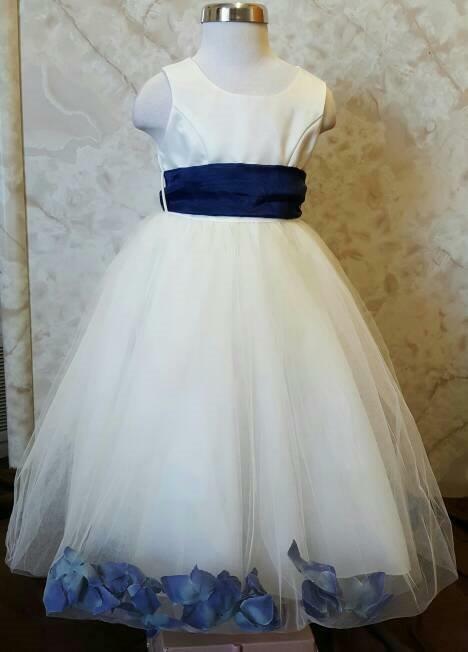 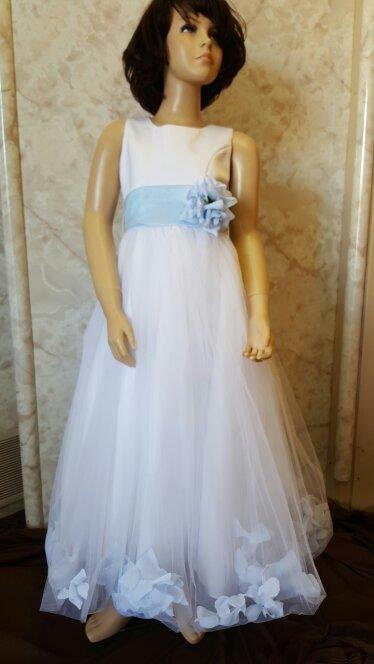 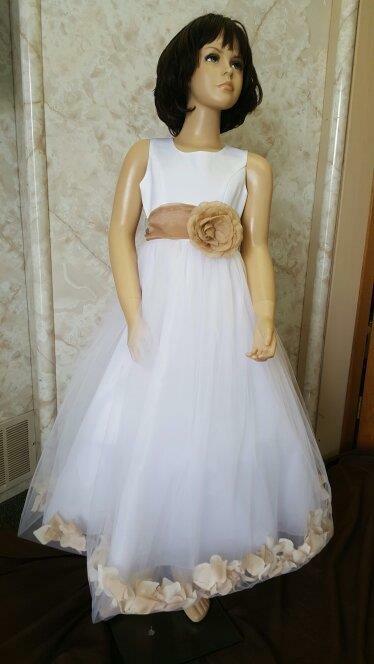 Clearance flower girl dresses with rose petals. 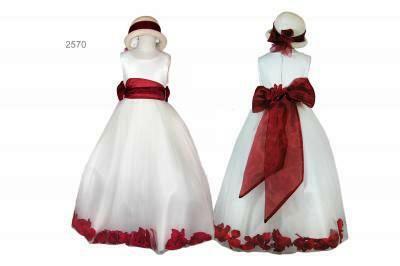 Rose petal flower girl dress. 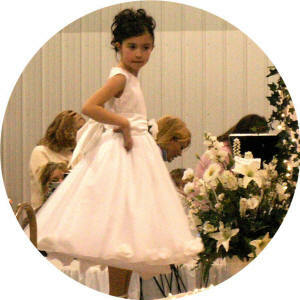 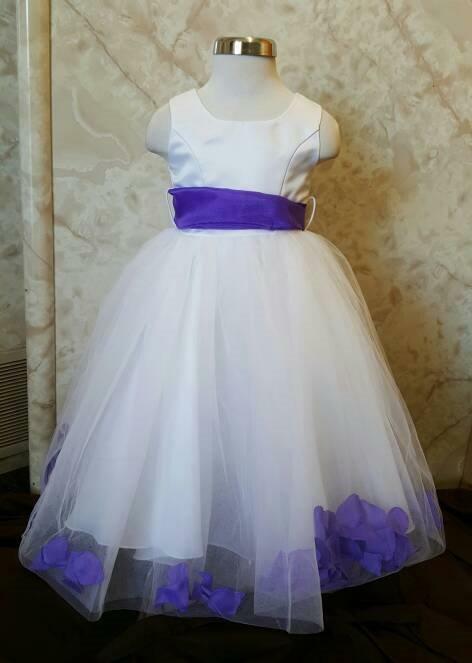 Long flower girl dresses with petals in the hem. 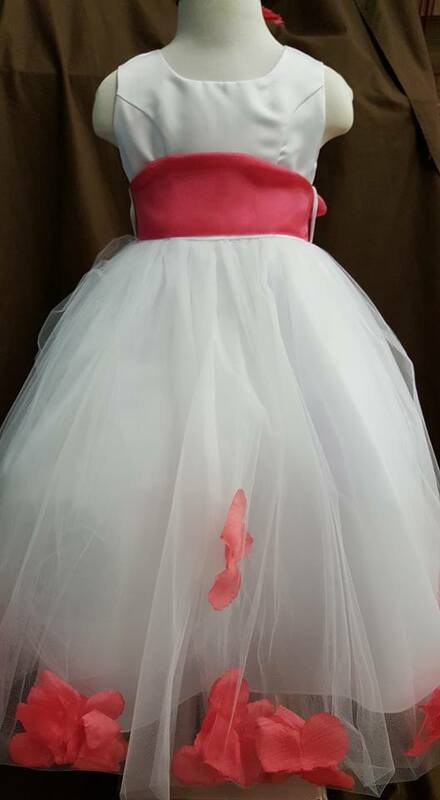 Cheap flower petal dress Sale! 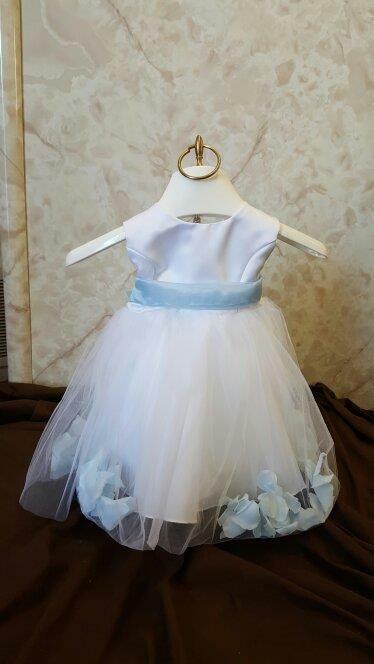 Girls and infant petal dresses size medium in ivory/red, large in white and baby blue, xl in white and taupe, xl in red and white, size 2 in ivory and navy, size 2 in white and purple, size 2 white and burgundy, size 2 white and coral, size 6 white and burgundy, size 6 in ivory and silver, size 6 in white and taupe, size 6 in ivory and burgundy, size 10 in white and taupe, size 10 in white and baby blue all on sale for $40.